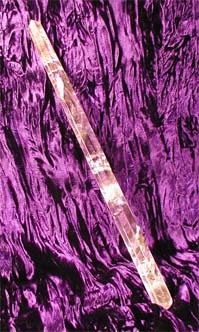 Tagged as clear quartz, quartz, wand. 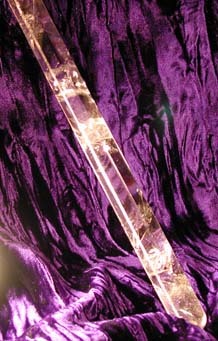 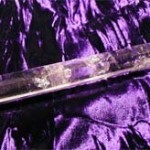 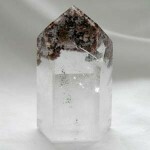 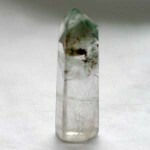 This beautiful clear quartz wand shows remarkable clarity. 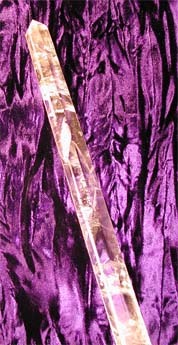 It has faint mists at its tip and base, as well as several veils and reflective message plates. 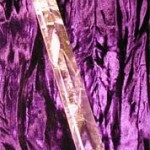 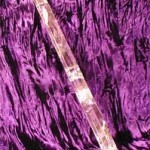 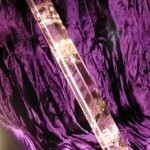 Size: It is 12 inches in length, and tapers from .75 at the base to .6 inches at the tip.